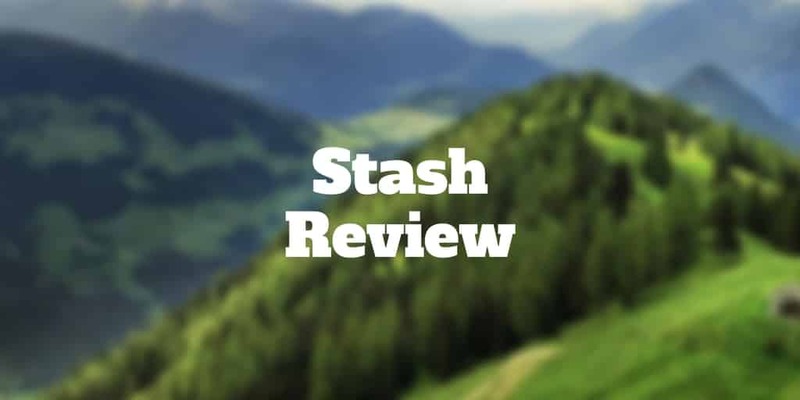 Home › Investing › Stash Review 2019 – Start Investing With Just $5! The Stash Invest app is aimed at investors who want control over their portfolio holdings and beginners who are eager to learn more about the nuts and bolts of investing. As you will see in this Stash review, the investment app does not actually manage your money automatically as robo-advisors do. Instead, it simplifies the process of picking investments by bundling them into themes, such as Clean and Green, so it’s intuitive to know where your money is allocated. Whether you are investing after-tax money in a standard account or retirement funds for the future, Stash can take care of you for a flat monthly rate until your account balance grows. Is The Stash App Right For You? How Much Are Stash Fees? Stash simplifies investment selection by renaming exchange-traded funds and mutual funds to be more intuitive. Normally, stock market beginners would need to learn financial jargon and figure out which ETFs and fund families match their financial goals. However, investment app Stash shortcuts the learning curve by bundling funds under easy-to-understand headings, like Internet Titans, Blue Chips, and Social Media Mania. This “thematic” approach makes it much easier for stock market beginners to know where money is invested. The Stash mobile app includes a wealth of educational resources for beginners to get up to speed. So, while it won’t manage your money for you, it will empower you to take control of your investment picks. A nice perk for users under 25 years old is Stash’s no-fee policy. You will still pay expense ratios, which are charged at the fund level. Stash fees are tiered based on assets invested with $5,000 as the cutoff level which triggers a change from a flat monthly fee to a % charge of assets invested. Although $1 per month might seem small at first glance, it translates to a 0.60% annual charge on a $2,000 account size. Compared to Ellevest and other leading robo-advisors this figure is high! Once your account balance climbs to $5,000 or more, the fees are in line with the charges applied by leading robo-advisors to manage assets. However, Stash does not actually manage your money so arguably robo-advisors provide more value for the same expense. The Stash Invest team might argue that robo-advisors don’t provide nearly as much educational content and Stash users prefer control over their portfolios whereas robo-advisor clients prefer a hands-off user experience. Stash makes it simple for investors to know where they are investing their by labeling exchange-traded funds descriptively. American Innovators includes tech companies such as Apple, Google, Facebook and Cisco. Clean and Green allows investors exposure to renewable energy companies via the iShares Global Clean Energy ETF. Equality Works features the Workplace Equity Portfolio ETF that comprises companies supporting equal rights for members of the LGBT community. Other thematic investments include Park My Cash, Blue Chips, Conservative Mix, Aggressive Mix, and All That Glitters, which provides exposure to gold, silver, palladium and platinum. The thematic approach to investing is similar to Motif, which also provides users exposure to baskets of stocks and ETFs that are part of a single theme. Unlike Motif, which requires greater user involvement, Stash simply renames ETFs to make it intuitive to know where your money is invested. Stash is both an educational and social investing tool that allows users learn how to build portfolios and share investment selections with their networks, including those on Facebook. The Stash app is essentially a tool that makes it easy for investors to learn as they go. Stash defines financial terms and provides descriptive content to easily explain concepts in an easy-to-user interface. Stash also allows users to engage their social networks by linking to contacts and sharing investment selections while maintaining privacy of unique data, such as portfolio value and amounts invested. Users are encouraged to invest more money by simply moving sliders within the app that manages monthly deposit levels, projected investment gains and growth opportunities. You can easily view how depositing money each month as well as changes in monthly performance can affect the long-term value of your account after 1, 5 and 10 years. Stash makes it easy to connect to a bank account using the highest level security protocols. Keep in mind that fees are withdrawn from that linked bank account not the invested portfolio. This is less of an issue for those with account sizes under $5,000 (who are charged $1 per month) but more so for those with account sizes of $5,000 and above, who are charged 0.25% of assets. On a $100,000 portfolio, fees of 0.25% annually amount to $250 so bank account balances will experience consistent fee drawdowns which poses a risk of overdraft to accounts with low balances. Stash is ideal for beginner investors as well as those wanting to learn how to build a portfolio that is suitable for their risk and reward goals. ✅ Mobile App: Stash is first and foremost a mobile app. While it’s possible to sign up on the StashInvest website, most everything else takes place on the app. ❌ Fees: Fees are comparatively high for Stash given that it doesn’t automatically manage your portfolio as a robo-advisor does. Although on an absolute basis, $1 per month is low, on a comparative basis the fees are high as a % of assets invested, especially when evaluated next to Betterment and Wealthfront. ✅ Educational Content: Stash makes it easy for beginner investors to learn the basics of how to build a diversified portfolio, identify expense ratios, and easily invest monthly to maximize the likelihood of reaching retirement goals. ❌ Expense Ratios: Expenses average 0.36% and range from 0.10% to 0.70%. Compared to most robo-advisors, this errs on the high end of the range. ✅ Social Connectivity: With Stash, it’s easy to connect to Facebook and share investment selections with contacts, though data regarding balances, portfolio value and amounts invested remain private and hidden from your social network. ✅ Thematic Investments: Stash makes it easy for mission-driven investors to align their portfolio selections with their philosophies. Investors who are environmentally friendly can choose to invest in renewable energy companies while those who favor travel, leisure and entertainment can easily invest in thematically aligned funds. ✅ Easy Navigation: Stash has friendly, intuitive navigation in-app, such as sliders that automatically update long-term account value performance and growth potential when additional deposits are made monthly. ✅ Mobile Compatible: The Stash app is both Apple and Android compatible. ✅ Account Selection: Taxable and retirement IRA accounts are supported but blooom is a better choice if you have a 401(k). Stash has a low account minimum of $5 but high expense ratios compared to many robo-advisors. Stash is limited in the accounts it supports, currently no retirement accounts and only taxable brokerage accounts. Stash is an excellent choice for beginner investors keen to take control of their nest-eggs over time and wanting a helping hand at the start to learn how to build a diversified portfolio, assess expense ratios, and don’t mind paying a premium to accelerate their learning journey. For hands-off investors who are less keen on the proactive or self-directed approach, robo-advisor firms may be a better choice. ‹ Fidelity Go Review 2019 – 5-Stars For Fee Transparency!